When we set off to go on adventures, Cody and I always look for unconventional places to sleep while we’re away from home. In the past, I’ve had experience using homeaway.com, hostels, campsites, and more to act as our temporary home base. While we’ve stayed many a nights in hotels and motels, it’s just not our favorite type of lodging when we have other options available. 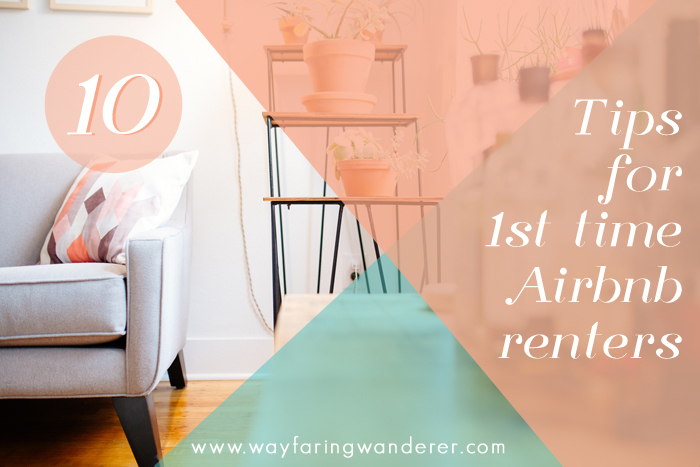 I finally decided to give Airbnb a try for our Anniversary Adventure in Asheville, NC a couple weeks ago, and I learned a few tips and tricks for using Airbnb that I'll definitely keep in mind the next time we use the website to book cheap accommodations. I was thinking that my fellow adventurers would find these tips useful just in case you’d like to give it a whirl for your next getaway! 1. IT’S NOT A HOTEL - You’re paying for a place to stay, yes, but you’re also paying for an experience. Don't expect the same amenities. Pay close attention when reading the entire description of the listing to see exactly what the host is and isn’t offering. If you have a list of must-haves it’s up to you to ensure you’ll get exactly what you want. 2. DON’T ASSUME - Be sure to ask questions beforehand to avoid disappointment.Think about what you will need while you're away from home and make sure to inquire with the hosts to see if they can accommodate your needs. If not, you can make other arrangements (if possible) or choose another place to stay based on what suits you best. 3. SHOP CAREFULLY - Hunt with intention & use Airbnb’s filters to narrow down your lodging options based on what you’re looking for. Are the accommodations suitable for what you need? Is it an entire home that offers lots of privacy or is it a bedroom or an apartment attached to the hosts home? Maybe having your own space is important and then again, maybe it’s not. When you know what you’re looking for you have a better chance of finding exactly what you want! 4. KNOW THE RULES - Check the “house rules” in the description of the listing to see what the hosts expect of the guests that stay. Not all hosts have the same “house rules” so make sure you’re informed. Cancellation policy is a biggie to take notice of just in case your plans need to remain flexible. 5. BE OPEN MINDED - Staying in a private residence whether it’s lived in or used exclusively for rentals is a lot different than being in a bed and breakfast, hotel, lodge, etc. so embrace the experience even if it’s not exactly as you envisioned it. Get friendly with the hosts (if they are available) because they will, undoubtedly, have the inside scoop on the best places to eat & drink or popular things to do while you’re in town. 6. 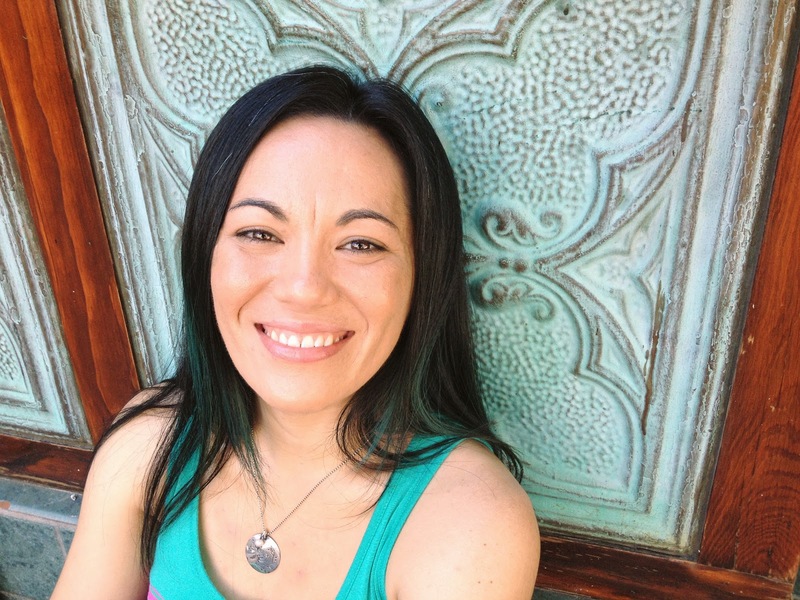 BE YOU - At Airbnb they attempt to create more transparency by connecting hosts with renters through an online profile that helps you get to know one another. This ensures that you will be a good fit for the property and vice versa. Be aware: Your hosts leave reviews just like you do, so mind your manners if you want to get 5 gold stars for being a good tenant! This will directly affect whether future hosts will accept you as a guest at their property. 7. THE FEES - In some instances, hosts charge a cleaning fee & a security deposit on top of the nightly/weekly rate. The one we stayed at had neither so you could get lucky there. The deposit is refundable, of course, as long as you leave the place intact and undamaged. Airbnb has a great policy regarding this process so don’t think that a host can claim damages without proper proof. Airbnb also charges a “service fee” to handle and monitor the transaction between parties. Keep this in mind when you are looking for the best deal and calculating rates. 8. READ REVIEWS - Don’t skip this part because it’s where you’ll find honest feedback about the property & hosts. This is a tricky tip, though, because you’ll need to trust your instincts. 9. COMMUNICATE W/ THE HOST - Contact them to ask any questions prior to putting in a request to book. Not all Airbnb listings will allow you to book immediately, so keep this in mind if you’re making last-minute arrangements. Hosts will, oftentimes, need to approve your stay before you can actually reserve the room or home. 10. WATCH YOUR EMAIL - This is where your communication will end up when you message the host, request to book, or reserve your stay. It’s also where you’ll receive your “Reservation Itinerary” after booking that will include all of the pertinent details about your stay in one place that can be printed for quick reference. 11. BONUS TIP: RATE YOUR STAY - Leave a quick but thoughtful review because the hosts rely on feedback to continue booking their listing(s). As a renter, it’s also really useful to read reviews that were left by others, so think about taking a moment to leave feedback after you return home. 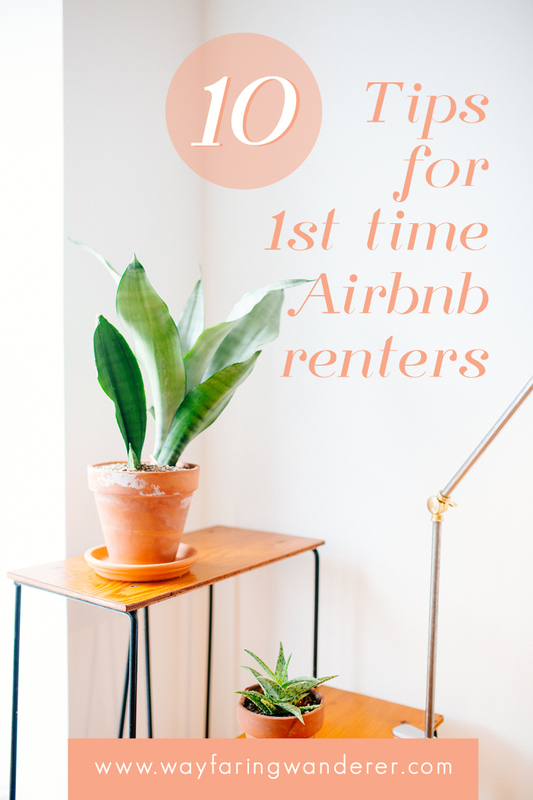 Do you have any tips for using Airbnb based on your past experience? Or have you thought about using the site to book lodging? I'd love to hear from you in the comments!